Instagram’s popularity has been growing very fast in the past few years. It has reached 1 billion active users (monthly), as of June 2018. Therefore that’s no surprise that affiliate marketers started to use it as a tool to generate leads for their affiliate offers. In this article, I’ll tell you all you need to know to succeed. Instagram is the number one choice for people who prefer to communicate through visual means. The number of such users is steadily growing because we have less and less time and photos are simply easier to consume on the go. Most of us also prefer to use the Internet on our mobile phone instead of using the desktop and Instagram is designed to be primarily used on mobile devices. 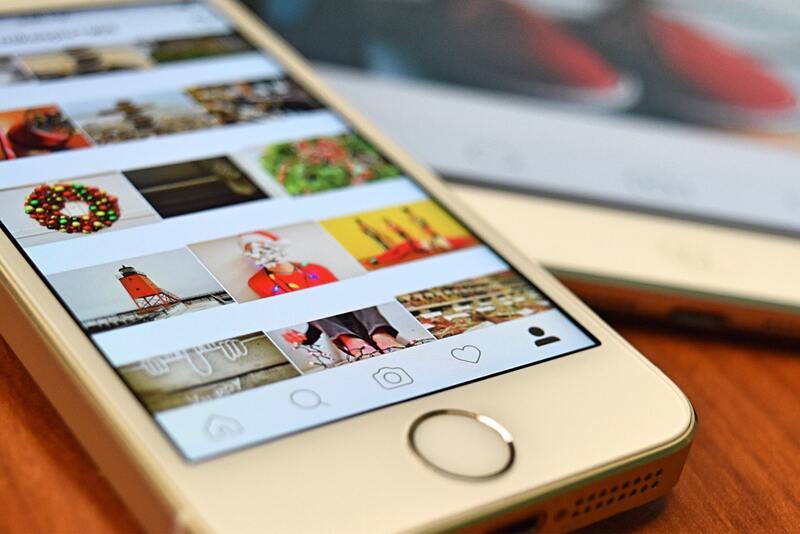 Is Instagram a good tool to generate leads? So is Instagram a good tool to generate leads for affiliate offers? The answer is yes, but you have to know how to do it. It would be a huge oversight not to at least try to use that opportunity to reach some percentage of this 1 billion monthly active users. Here are some steps to follow in order to have better chances to generate leads for your affiliate offers. First of all, don’t use your personal account. Create a new one that will be focused on the affiliate marketing niche. Make it clear in your bio that you’re an affiliate marketer or have any other sort of online business so that the users know straight away what kind of content to expect. In this way, if they decide to follow you, you’ll be sure that they did it because they are interested in affiliate marketing. It will be a lot easier to convert them into active leads. The bio is also a place to provide your link. It can be a link to a selected affiliate offer, to your website or for example to a YouTube video, where you promote an affiliate offer. On Instagram consistency is the key. First of all in terms of how often you post. Try to do it at least once a day. If you need a break because you feel you’ll be running out of ideas for content, make this break during the weekend. It is the time when people tend to focus on lighter stuff. But my personal advice is to post some inspirational content on weekends. I choose to post pictures from all my travels that I’m being able to make because I work online. It shows people that it is possible to do, that normal people can achieve results and live the life they want. It is also light enough content to be consumed during weekends. The important thing in your content strategy is to find a balance between promotion, providing value and inspiration. Of course, the primary goal of your account is to generate leads, but it is also necessary to build your brand. Spamming the feed with affiliate offers will not bring you any good results. You should first focus on providing some value to the users, learning them something and inspire to change their life. You can use Instagram as a place of promotion for your blog posts in which you share your knowledge. If you have a YouTube channel around affiliate marketing niche, let the people on Instagram know about your new videos. In this way, you will build trust and it will be easier to convert them into leads once you make a post concerning your affiliate offer. Although Instagram is all about pictures, you should not ignore the importance of good caption. It is a great place to inspire user and generate interest. The caption gives you the possibility to engage and connect with your audience. From caption, you can easily direct people to the link in your bio, where you can promote what you choose. Hashtags are the last thing to take care of before adding your picture. Make hashtag research in your niche and select a good range of hashtags that are relevant to your content and have high and low search volumes. Which such a mix you should reach a good number of people looking for content connected with affiliate marketing and online business. Follow big players in your niche to find inspiration and ideas for content. They are not big by accident. They certainly must do it well, so learn from them. In order to grow your Instagram account faster you can use some tools that are available on the market. Not all of them are good, but the one that I can recommend is Instato.io. This tool will allow you to get real Instagram followers organically by using a bot system.